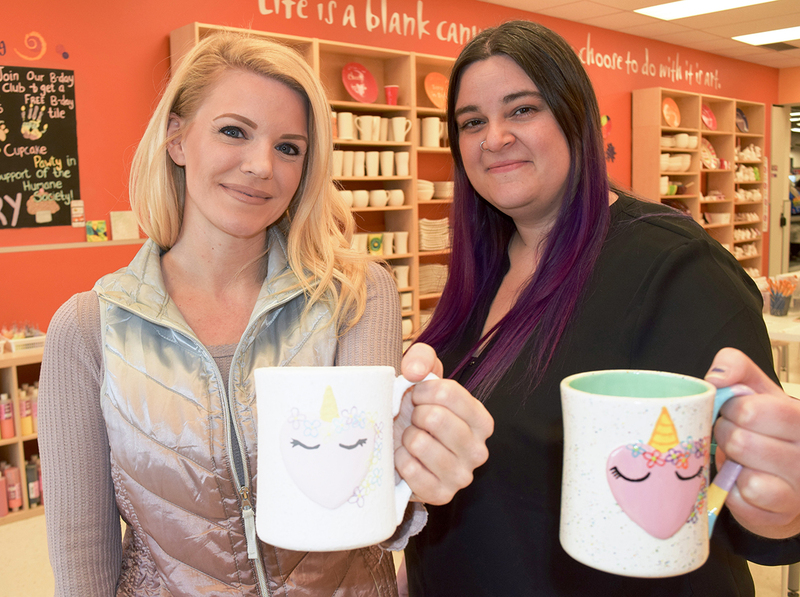 When Crystal Tilson started a part-time job at a Sarnia pottery studio called Crock A Doodle she saw it as a good way to ease back into the working world. It quickly became a passion in which she could combine her love of business, marketing and art. “I was in a really bad car accident and off work for a year,” said the single mom of four. Part-time became full-time. She was promoted to general manager. And in January, 18 months after starting at Crock A Doodle, Tilson became the owner. Crock A Doodle is billed as a Canadian “paint-your-own” pottery company that was started by Annette Brennan in Brantford 17 years ago. Brennan’s franchise program has grown to 33 studios in Ontario, Manitoba and Alberta. Like the Sarnia studio, a growing number lease space inside Real Canadian Superstores to take advantage of the heavy pedestrian traffic, said Tilson. When she was first hired, Sarnia’s Crock A Doodle was owned by Brennan. The business premise is simple. Each franchisee purchases an array of ready-to-paint pottery pieces from the franchisor. A mark-up on all pieces covers the monthly franchise fee. Customers buy a pottery piece to paint either in-store or at home. Prices vary from as little as $6 for a small animal to $65 for a large turkey platter. Some of the most popular are four-inch puppies, princess figures and unicorns that cost $22 each. Most people are in the studio to paint for an hour or two, but some more artistic types have worked up to eight hours on a single piece. The painted pieces are glazed and kiln-fired by staff. Pickup day for finished work is every Wednesday. While working for Brennan, Tilson introduced all kinds of marketing ideas to draw more customers. Sales continue to climb, she said. Crock A Doodle welcomes drop-ins but also hosts parties, fundraisers, girls’ nights and special events. “We thrive on events,” she said. Birthdays are Crock A Doodle’s most popular but showers and stagettes have also been held, said Tilson. It was her idea to start studio events featuring special guests such as princesses and superheroes. For $35 per child, participants can paint a piece of pottery and enjoy stories, games, pizza and crafts. Characters from the video game Fortnite will be at the next special event on March 8. Tilson also takes studio activities off-site and visits schools and retirement homes. Shortly before Valentine’s Day, one local school with about 235 students hired Crock A Doodle to conduct a workshop, at $7 a student. The studio is located inside the Real Canadian Superstore at 600 Murphy Rd. Open seven days a week. Call 519-336-4767 or visit www.crockadoodle.com. Have a great idea for a business story? 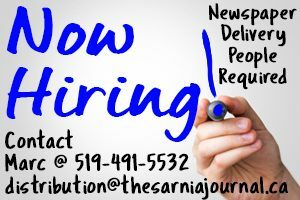 Send it to cathy.dobson@thesarniajournal.ca.